Is 2017 the year you finally go all-in on a new home theater system? Maybe your family has been hinting for years that your current setup is outdated. If that’s the case, turn to Texas Info Media for your luxury home theater needs. The professionals at Texas Info Media handle the entire process, all the way from consultation, to installation and acoustic treatments. We focus on the little things, consistently communicate and build a final project that looks sophisticated, beautiful and organized. Not to mention, we guarantee that your luxury home cinema will be easy and enjoyable to use. Rest assured, we will ensure your home theater experience is top-notch and ready for your big event. While you may have the budget for high-end home theater systems, you still want to get the most from your money. Our goal at Texas Info Media has been providing outstanding service with a personalized touch. For over 17 years, we’ve accomplished that goal and continue to strive to exceed the customer’s expectations. Our team is proud to carry the top manufacturer’s products and have the industry’s leading partners. When it all comes together, you will be the one to enjoy the best home theater setup, regardless of your needs and space. 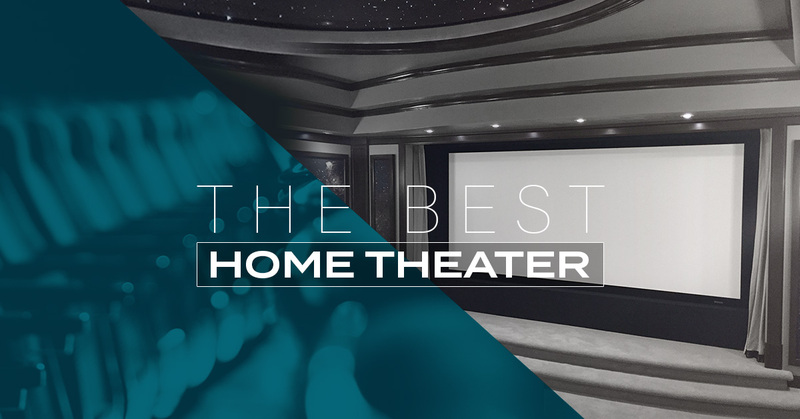 As you can see on our Home Theater Design & Installation page, we stress that our customers have the best home theater setup. A good chunk of that comes from video and audio calibration. It’s why we make your audio sound as best intended and your video display looks as it was intended to be viewed. Our team is certified through the Imaging Science Foundation, so you know that when you choose Texas Info Media, you know that your setup will feature an unrivaled theater quality. You might be wondering how complicated it will be figuring out your new system. But when you choose us, you’re always choosing ease of use and convenience for your entertainment system. Texas Info Media provides one-touch control, allowing you to have everything on one remote. So instead of being overwhelmed and stressed out, you can just relax and enjoy the best home theatre. On top of that, our professionals follow up on a regular basis to check that everything is working for you as intended. There’s no technical talk or intimidating industry jargon. We walk you through everything you need to know in the most relaxed, efficient way possible. You could be thinking “Well all this sounds great, but there’s no way my house has enough room for a home theater system like this.” When dealing with other companies, that may certainly be true. But at Texas Info Media, retrofit services are available. We’ve designed and installed to transform countless existing spaces into a fully functional theater room. So even if you have a historical home, you can feel confident that our team will do an incredible job with the setup and maintain the structure’s integrity. If you think Texas Info Media could be a fit for your home theater project needs, feel free to contact us.